The current digital ecosystem can be a harsh place for publishers with squeezed margins, tectonic shifts in government regulation, and untrustworthy vendors, among other challenges. However, with preparation, appropriate organisation, and optimisation, there are still plenty of opportunities to be had in the world of content. 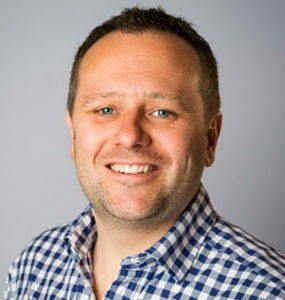 ExchangeWire speaks to Rhys Denny (pictured below), co-founder, business development of consultancy service and tool provider, Redbud, to shine some light on common issues with publisher sites and how they can manage their organisations effectively to take advantage of opportunities in the market. 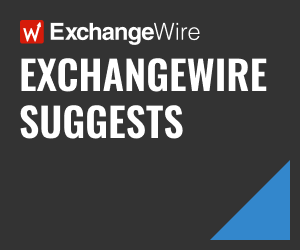 ExchangeWire: What do you see as the main challenges publishers are facing at the moment? The sheer volume of third-party scripts that are loading on a publisher’s websites to serve an ad, track engagement or viewability, sync cookies (and more) is degrading website performance and eating into publisher revenues. Programmatic selling of inventory has also created vulnerabilities for publishers. Redirects and the embedding of tags in creative have made it very difficult for publishers to track the exhaustive list of vendors who may be processing their users’ data. Publishers are in desperate need to have more transparency over their own tech stack to understand how it’s performing and where the privacy vulnerabilities lie. The million-dollar question is, how can publishers start to gain back control? It’s not so much about publishers taking matters into their own hands and following the in-housing movement of the big brands and buy side. Perhaps, it is more about the need to make changes; a need to challenge the status quo. The ever-changing and crowded ad-tech landscape, paired with drastic regulatory changes (GDPR, ePrivacy), has created more and more challenges for publishers and their internal teams. From poorer performing websites and ads, to large potential compliance risks and fines. 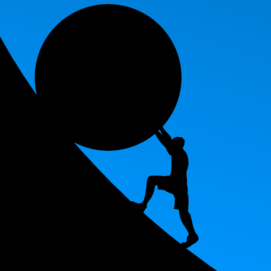 How is RedBud helping publishers overcome these challenges? For the past two years, we have wanted to create a business designed with publishers at the very core. And ten months ago, we made that happen. What started off as a consultancy service rapidly turned into an industry-first tool for publishers to truly take back control. And that tool is DIAGNOSE. Now used by leading global businesses, DIAGNOSE shines a light on a publisher’s ad-tech stack, uncovering detailed insight surrounding website and ad performance, privacy compliance, and the deepest darkest secrets of vendors, creatives, and tags. By providing this tool to publishers, without requiring any implementation, we are able to give them invaluable insight into who’s doing what, and what impact it’s having on the website and users, so they can start to make smarter decisions that will drive revenue. Our insights enable them to identify the main latency culprits, quantify the potential revenue they can generate by removing an underperforming tech, reveal the cause of discrepancies, and uncover privacy-compliance vulnerabilities. For far too long, the industry as a whole has focused on ad performance metrics, turning a blind eye to website performance and user experience. We’re empowering publishers now to make a change and put user experience at the heart of their strategy. What is the purpose of your recent partnership with the AOP (UK Association of Online Publishers)? Our project with the AOP came from a conversation that we had with one of our publisher partners. One of the main challenges our publishers still face is the large discrepancy between advertiser numbers and their own numbers, impressions in particular. However, despite knowing this, and also being aware this was also a market issue, they weren’t able to identify the cause of the discrepancy; the results of their testing wasn’t consistent enough to create a clear answer. We carried out an analysis on a sample of ad tags, providing new insights based on metrics not measured before and the promise of a potential new ‘best practice’ on ad tag and tracking setup. Through our publisher partner’s industry commitment and relationship with the AOP, RedBud have been invited to conduct the same analysis across many more publishers within the AOP community, enabling DIAGNOSE to works across a large sample of ad tags to create more informed ‘best practice’. We’re so excited to work with the team at AOP, to uncover how together we can support UK publishers tackle some of their biggest challenges. How can publishers organise their teams and internal process more effectively to manage the challenges faced? To achieve this, they will need actionable insights, processes in place to A/B test different scenarios, and much more. What are some of the common issues with publisher sites identified using the RedBud tool? What has surprised you the most, both good and bad? Performance: Complex ad-tech stacks have led to poor-performing websites that are slower and more prone to errors. We found that, at times, ad content loads faster than editorial content and that viewability/brand safety tags are heavier than the website content itself! Discrepancy: Publisher and advertiser numbers rarely match. When the impression numbers differ by over 10%, that’s a huge loss of revenue for publishers. Often times, we found a long lag between the first request associated with an ad and the tracking of the impression on the advertiser side. With new tools and initiatives, such as CMP implementation, ads.txt, and ads.cert adding to workload, is it becoming even more difficult for publishers to stay on top of their site operations? What do their key considerations need to be here? Publishers have to be experts on so many subjects while their teams are often shrinking and asked to deliver more revenue. They can’t afford to be internal-facing anymore and we’ve seen a lot of our publisher clients actually work with other publishers to get their insights on a particular technology or vendors. Leveraging insights across all publishers to identify trends, so we can work towards industry changes, benchmarks, and best practices. Organise intimate events for publishers to share experiences and voice their frustrations. Continue to work with publisher partners to better understand their frustrations, so we can evolve DIAGNOSE to suit their needs.